Rust basking in the beauty surrounding it. Snake Cay was my idea. Once we replaced our main sail with our spare main, we needed to be able to fold and store the old sail. A main sail is a rather large thing and folding it in Blue Wingâ€™s cockpit proved challenging. We were able to turn it into a more manageable bundle, but not a bundle easily stowed. Back in Florida we inspected the sails by spreading them out on Gregâ€™s parents’ driveway, then very carefully and deliberately folded them back up. We needed a driveway or something similar with a large and flat surface close to the water where we wouldnâ€™t be in anyoneâ€™s way. This was Snake Cay. Our old main sail stretched out ready to be folded. Blue Wing waits in the background. 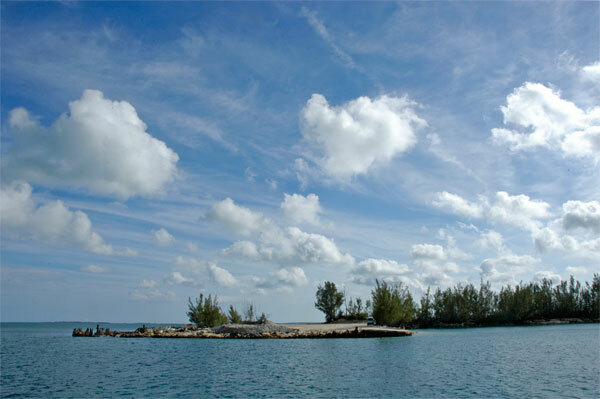 Snake Cay was once headquarters of the International Paper Company’s timbering operation in the Abacos. 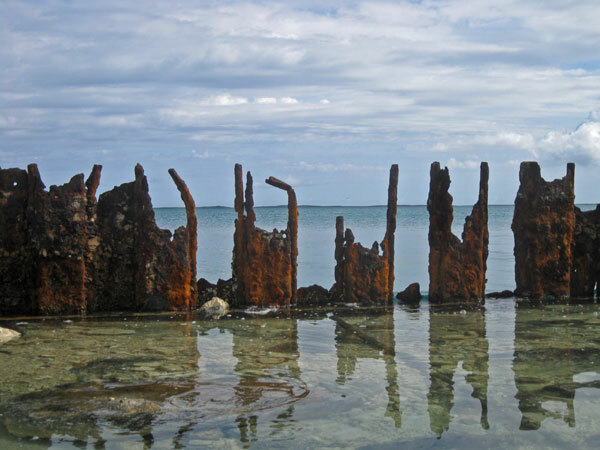 Eventually, when the Abacos were timbered out, the area was abandoned and the area fell into ruins. All that remains is a jagged, beat down rusty wall that surrounds a large flat area directly adjacent to the water. Just what we needed. Our visit to the Abacos has mostly been a utilitarian one as we wait for fair winds to take us farther south. Since we were just here earlier this year, there is little surprise or mystery. Our time in Marsh Harbor was spent doing the usual, buying groceries, loading up on rum, stopping by the coffee shop for good internet, and visiting every hardware store in town many times. 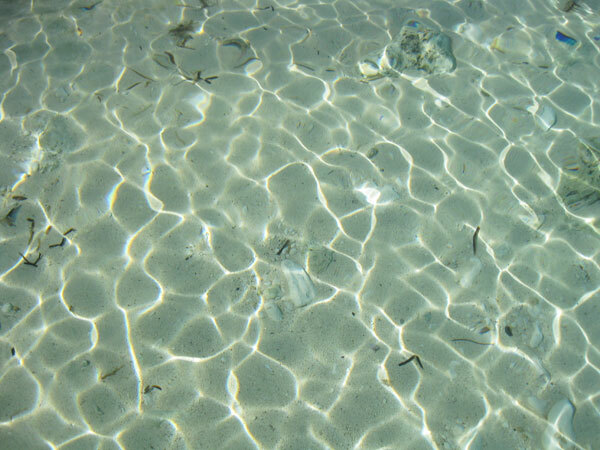 But, we had never been off of Blue Wing at Snake Cay, so in addition to the folding, we did a little exploring. Despite being abandoned, there still seems to be a lot happening on this small island. We found at least two good spots to launch small fishing boats, evidenced by the mounds of conch shells piled near them. The Cay also seems to serve as a park and ride. In the morning, a small boat picks people up and then drops them off in the evening. 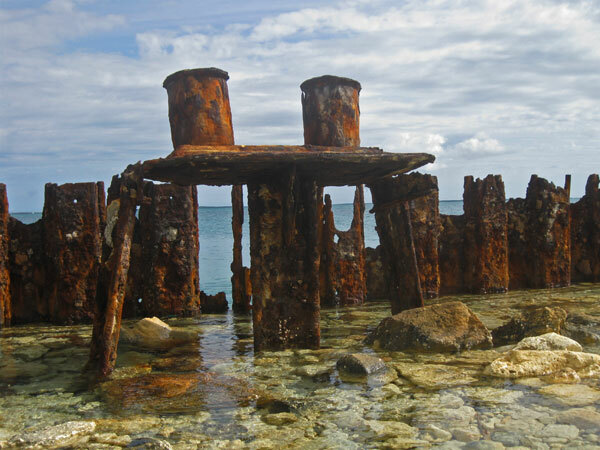 The ruins, of course, are what really interested me about the Cay. 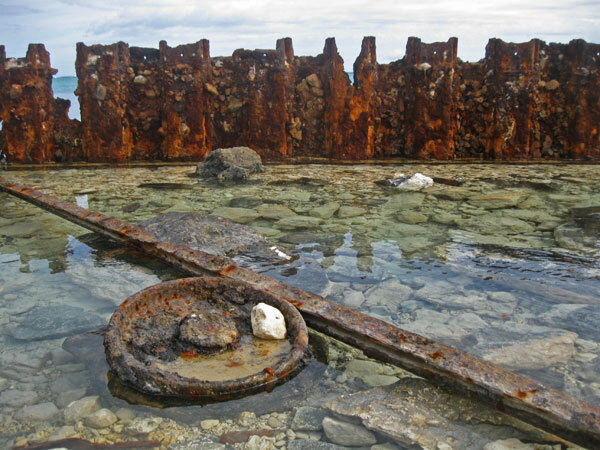 The juxtaposition of the rusty serrated metal against the sea and sky was right up my photographic alley. 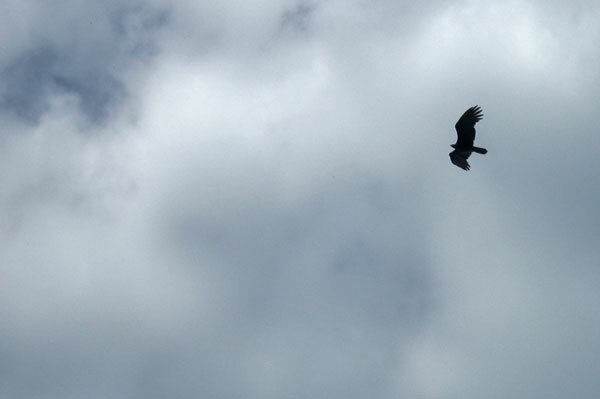 This large bird kept an eye on us as we wandered around the Cay. 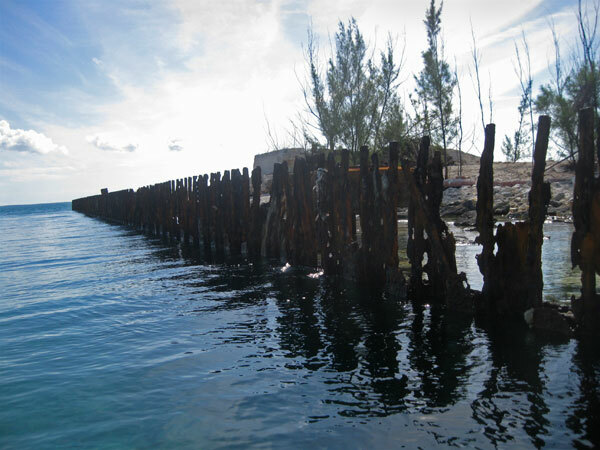 The remains of the sea wall surrounding the Cay. More rust, water, and sky. Rusty shapes in the water. We took Fever (our dinghy) for a ride around the anchorage. We did not see a lot of wild life, but the water was pretty. 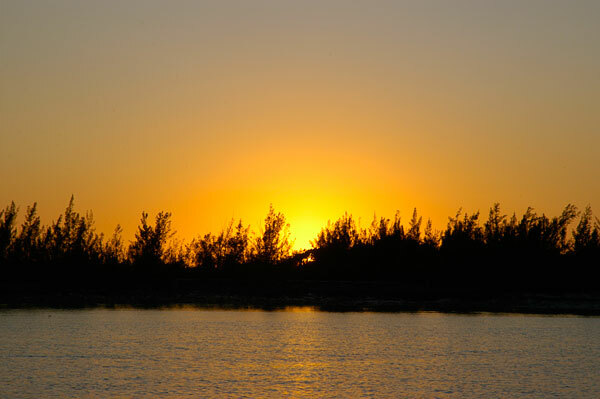 The sun blazes as it sets behind trees at Snake Cay. nice write up and pics. I must, however, correct you in that the dock belonged to Owens-Illinois Inc, which is a publicly listed company based in Toledo, Ohio. At the time, they owned a Forest products division, which switched from timber to sugar cane. They closed up shop in 1971. 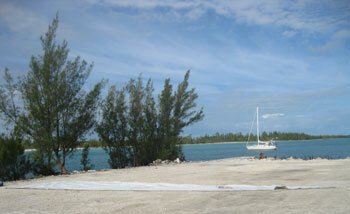 They had built several houses on Snake Cay, of which only one is left standing as of 2009, my last visit. I spent a year on Snake Cay as a kid. There was even a school there.